Suction side pool cleaners are no doubt one of the most advanced breakthroughs in pool maintenance. Despite the arrival of robotic pool cleaners, a lot of pool owners still find suction side cleaners more reliable and capable of cleaning the pool because its cleaning power depends on the pool’s filtration system as well. Hayward Pool Vac XL is an interesting suction side pool cleaner that offers professional cleaning quality without the need to spend hundreds of dollars monthly for service cleaners. And you don’t have to pay thousands on the machine as well. Read on and get to know this pool cleaner more! Hayward Pool Vac XL is an in-ground pool cleaner powered by the pool’s very own filtration system. It is easy to connect to the suction side plumbing of your pool that works to filter the water in your pool. Through a suction side pool cleaner, it can reach out to the debris and dirt and that settled down at the bottom of the pool floors. Even those that were stuck on the corners and walls. 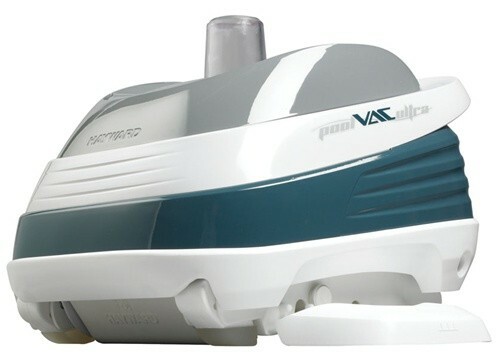 The Pool Vac XL comes with a set of sectional hose and skimmer insert. Just connect the leader hose to your cleaner followed by the rest of the hoses. Fill the hoses with water. You can use the flow gauge to ensure that the hose is already full. Attach the other end of the hose to the skimmer line by removing the skimmer basket and inserting the skimmer cone included connection kit. You may also use your Hayward Pool Vac with your dedication vacuum line. Once it is connected, you may slowly drop it in the pool. Turn on the pump and the filter system and your pool cleaner is good to go. Through its patented AquaPilot, it is programmed to move in predetermined series of turns and will randomly clean your pool, picking up leaves, debris, pollen, dirt and more. With its unique turbine and gear system, it offers a quiet and trouble-free operation that even new users will love. The bottom of the Pool Vac XL has wings, flaps and shoes that provide more extensive cleaning coverage to handle sand, pebbles, twigs and more leaves with such ease. The wings are known to increase the speed of the machine by 10% making it easy for it to climb slopes and walls. It’s cleaning functions can be manually set and calibrated. Manually setting I allows it to clean the pool floors only, setting II will support it to clean slopes and setting III will enable it to climb and clean the pool walls. This setting will let the pool cleaner function on all pool surfaces such as tiles, concrete, vinyl and fiberglass without the need for booster pumps. Setting II is the ideal and recommended setting for the Hayward Pool Vac XL. Can the Hayward Pool Vac XL clean the walls and waterline? The Hayward Pool Vac XL is designed to climb the walls. However, it cannot go up to the waterline level. Climbing the walls might also be restricted by certain conditions such as the pump pressure and the type of pool surface. You may try to manually set the pool cleaner at cleaning function number 3 on the side of the cleaner’s body. Will it be able to pick up leaves? Yes, it can but in limited sizes and quantities. It is highly recommended for suction-side pool cleaner users to make use of leaf canisters as attachments to properly support leaf suction and to prevent clogging on both the cleaner and the filtration system. There are instances when twigs and large leaves might get stuck at the bottom of the cleaner but you can easily pull it out by opening the vacuum cartridge. Does this unit require a booster pump? No, there's no need for a booster pump. You can easily connect this pool cleaner to the skimmer line or the vacuum line on the side of your pool. The filtration system and pumps of the pool will power the built-in turbine system of the Hayward Pool Vac XL. How long will this take to clean my pool? Since the Hayward Pool Vac XL does not have a built-in timer nor can it map your pool out, it is safe to say that it can clean the pool in 3 hours as most pool cleaners do. However, it depends on the amount of debris there are in your pool. It is also advisable to skim your pool in advanced and inspect your pool for large obstructions like twigs and branches before deploying the cleaner. The Hayward PoolVac XL is an impressive suction side pool cleaner with its capability to clean most surfaces like concrete, vinyl, fiberglass and tiles. The settings that enable it to clean the floors, climb coves and even walls is also a clever way of programming this machine without overworking it on the functions that you don’t need yet. It is easy to understand and install and the accessories that come with it gives more value to this pool cleaner. The parts such as wings, flaps and shoes are also durable and if you need to replace it, it is readily available from the manufacturer. The unit itself has a two-year warranty and you will surely never have to worry about troubleshooting because guides are readily available on the instruction manual and the brand’s Youtube channel. Pool Vac XL is such an appropriate name for this machine for being extra large on ease and functionality but less on cost.